You've probably noticed by now that the folks in and around F1 don't always agree on everything. Or more accurately, that they don't agree on very much at all. There are many reasons for this. Captivating drama and action are positive expectations at this race. The layout ensures plenty of overtaking opportunities. The nearby walls - the track being rather a street circuit without the buildings - can and frequently have punished even small errors. It even has its own 'Wall of Champions' which as its name suggests has ensnared a few of the best of them. Safety cars and carbon shards are a common feature in races here, and these have turned many-a Montreal race onto its head. As a result, outcomes here are not so easy to predict. Further varying matters is that this track with plenty of straights and big stops has long had a reputation as a car breaker - tough on brakes, gearboxes and these days energy recovery systems - and is especially prone to this if the temperature gets up. While on the subject of the weather that also, appropriately, varies more than at just about any other modern day venue and the full range - from hot and sunny through to cool and wet - is possible and can even be witnessed within the same race weekend. If rain does arrive then all bets are off, the madcap 2011 race providing some sort of guide. The track is squeezed onto a man-made island barely 150 yards across in the Saint Lawrence river and is surrounded immediately by lush parkland dusted with quirky, other-worldly architecture. It also has an exciting, vibrant, international city just a short metro ride away and is one of those places that fully embraces its local race. Another reason for the venue's popularity is that the fans in attendance are knowledgeable and plentiful, and always provide a great atmosphere. The circuit's charmed life began right from the off when in the sport's very first visit in the bitterly cold autumn of 1978 local hero Gilles Villeneuve won out for his freshman Grand Prix triumph. And in a Ferrari. And since - despite being the scene of its share of regret such as Riccardo Paletti's fatal crash in the 1982 round - the diverting and memorable races down the years roll off the tongue. 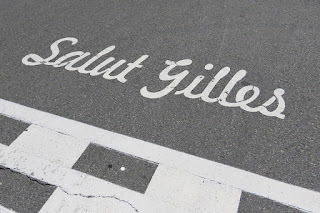 No doubt also the passing of time and the parallel shifts of the F1 itinerary to new, cavernous and rather clinical venues has added to Montreal's status as a venue like no other; one with a quirky and refreshing sense of the distinct. Unconventional, unpredictable, always entertaining and with an unmistakable sense of soul. The grandest of the many grand attributes of the Circuit Gilles Villeneuve is that it's a lot like Gilles Villeneuve. Last year though it seemed all did their best to lose Montreal its reputation in a single afternoon by putting on a soporific race. As noted this place is very tough on brakes and also is about as tough on fuel and 12 months ago without the 'usual' safety car appearance to ease things it was rather a constrained cruise, particularly at the front, with plenty of requests from engineers to 'lift and coast'. Further far removed from Montreal's idiom was that qualifying did much to frame the race outcome, Lewis Hamilton from pole managed things in the lead with ease; team mate Nico Rosberg was close at hand throughout but almost never did many observers think he'd usurp him. Mercedes remains the clear favourite this time, as it's almost always clear favourite and its sweet power unit should be singing at full voice down this track's long straights. The silver pair ran away here last year and did the same the year before until technical problems kicked in. 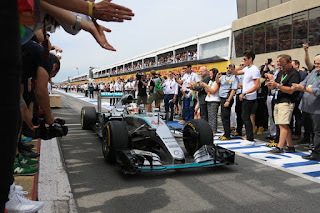 Plus there is Lewis personally, who is considered a specialist around this track and has won here four times, as the local requirements to pivot and hustle the car through the chicanes, be brave on the brakes and to shave the walls at great speed suit him just fine - though he's had the odd bump here too and indeed up until 2013 he'd either won or crashed in every Montreal race he'd done. The main source of hope for the rest is that mentioned local reputation as a car breaker. Last season indeed both Mercs had to manage brakes extremely carefully - Toto Wolff spoke of "very very high temperatures" for Nico's - while the year before both cars hit MGU-K problems which in turn strained their brakes. Mercedes reliability has been far from bullet proof this year. While it will be interesting to see how drivers, and not just the Merc ones, cope with the required fuel and brake management this time without anything like the radio spoon-feeding they got from engineers in previous seasons. But what of Red Bull, that in Daniel Ricciardo's hands looked unusually to have the Merc beaten on pure pace in Monaco last time out? Of course Montreal is a different proposition to the Principality, not least because of those long straights here where Red Bull has tended to not have much joy, a combined consequence of a Renault power unit with less in top end grunt than rival units and that the high-on-downforce Red Bulls tend to get in their own way in a straight line. For this reason Red Bull even in its pomp struggled to prevail in Canada and indeed didn't win here until 2013. On the other hand though as evidenced in Monaco the RB12 is thought to have the best low speed grip and traction in the field which will be important here, while the Renault power unit has recently had an upgrade and isn't ceding nearly as much on power as used to be the case (the deficit is now thought to be around 20-30bhp). As we've seen for just about all of this season Ricciardo is at the very top of his mighty game. He's won here before too. It seems at the very least Merc won't have the space behind in which to manage its reliability worries nearly as meticulously as it did 12 months ago. 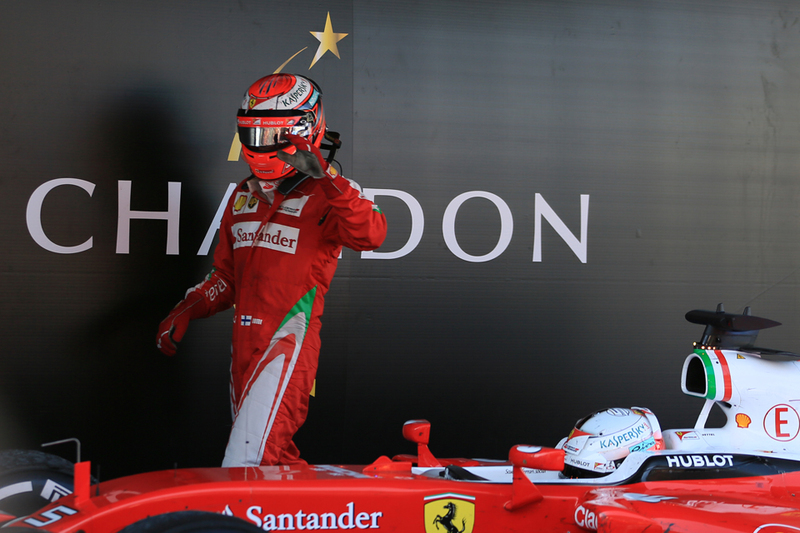 Can Ferrari rediscover its form? Ordinarily of course we'd be talking about Ferrari as Merc's most likely challenger, but things are a little iffy at the Scuderia. Not least because of a mysterious lack of qualifying pace that seems to be baffling all down Maranello way. The consensus is that the red team has struggled to manage its tyres, and if this is so it's bad news for the team as the soft compounds and the low grip surface in Canada are likely to present similar challenges as in Monaco. 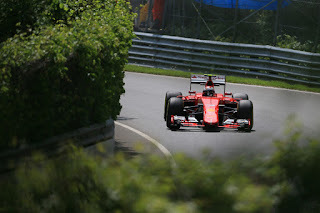 At least though at the Montreal track a poor qualifying slot isn't as bad news as at most other circuits and while the Ferrari's low speed grip and traction isn't quite as good as the Red Bull its straightline speed will be better. It's racing an upgraded turbo this time also. Sebastian Vettel last year in Canada put in a fine drive through the field after technical problems in qualifying and grid penalties (some indeed thought he may have challenged the Mercs with a representative starting slot). Kimi Raikkonen though hasn't had much fun here since his F1 comeback and indeed he's spun in his last two Canadian races. His fingertip style has seemed in recent times ill-suited to the layout. As for the rest, others with Mercedes power could be well-placed. The Force India clearly has improved and historically has gone well at tracks with long straights, including this one (Sergio Perez indeed might have won here in 2014). Williams is in a similar boat, including that there are some that reckon Felipe Massa should have capitalised on Merc's reliability problems in 2014 by winning while Valtteri Bottas bagged the final podium slot here 12 months ago. McLaren last year had a rather traumatic time with extreme fuel saving and may encounter something like it this time too. Strategy considerations for the Montreal track have appropriately a corkscrew quality. 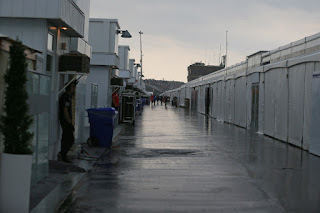 The track's short pit lane (the loss time of 15 seconds being about the lowest of the year) and the relative ease of overtaking would ordinarily equate to a multi-stop approach, but the frequency of safety cars at this circuit muddies the waters. Therefore decisions to stop are often rather on the hoof depending on what's happening with safety cars and the number of halts in a Montreal race can vary anywhere between one and three; sometimes the full range is on show in the same race. Further aiding a one-stop is that, a lot like Monaco, tyre wear is low here due to a smooth surface and a complete absence of quick corners. Last year even though the supersoft and soft compounds were brought most managed a one-stop race with little trouble and this time most have piled high on the ultrasoft, which as we witnessed in Monaco isn't too far removed from the supersoft. Hamilton described it as a supersoft with purple paint on it.